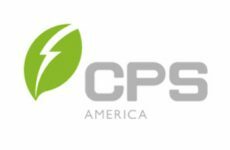 RP Construction Services Inc. (RPCS) has formed a new partnership with solar balance of systems leader Shoals Technologies and CAB Solar to launch the Plug-N-Play Solar Tracker system. This turnkey system features the Array Technologies DuraTrack HZ v3 single-axis tracker, Shoals Technologies’ electric balance of systems wiring solutions, and CAB Solar’s above ground, messenger wire cable management system. RPCS says this new partnership aims to simplify tracker project install by reducing trenching by 50 percent, utilizing less specialized labor, and requiring less time—all resulting in faster time to completion and CAPex savings. Shoal’s patented pre-labeled wiring systems are key here, and coupled with RPCS’s established reputation for turnkey success, this new system will eliminate the need for trenching within the array, reduce risk and complications associated with cost, lessen environmental influence, and improve trade coordination, creating faster, simpler installations. What’s more, the Plug-N-Play Tracker approach also allows for more solar panels per string and fewer combiner boxes per site, cutting cost and solar electrical complications. 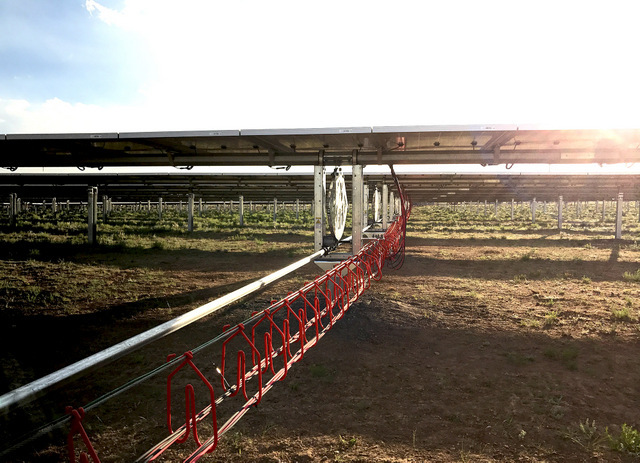 CAB Solar, the Cambria County Association for the Blind and Handicapped’s solar products division, pioneered the use of above ground cable management in grid-scale solar plants and has continually provided innovative designs and systems to meet customers’ needs. 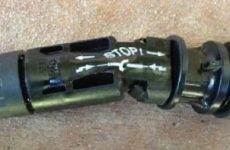 The newly released Integrated Grounding Cable Management System uses a copper composite messenger wire and specialized hardware for grounding and is safety listed by Intertek to UL 2703. 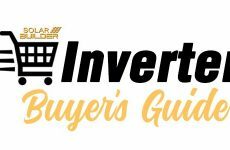 For over 85 years, their various products routinely exceed the most stringent quality standards demanded by respected national and international customers. “CAB systems integrate well with both Array and Shoals, and RPCS is very knowledgeable in how to maximize CAB’s benefits. We are excited about the potential,” says Tim Wedding, CAB Solar Project Manager. With over 400 MW and over 225 projects completed throughout the United States, RPCS provides full turnkey service and support for the industry’s most bankable and reliable tracker. The team at RPCS provides reliable support at every step of the project, delivering a level of quality and efficiency that parallels Array’s market reputation. 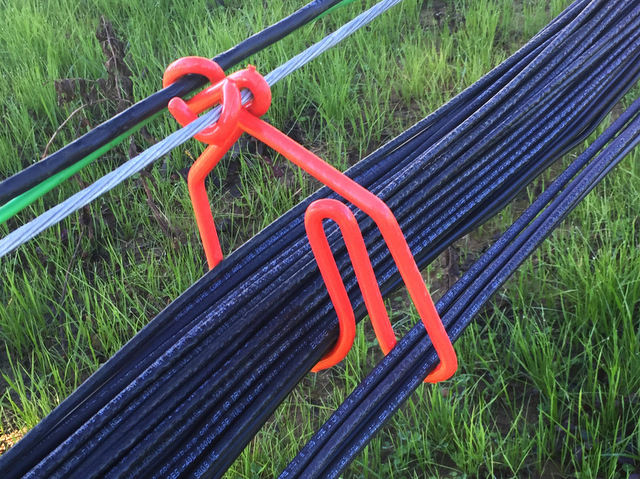 “As an electrical guy at the core, there is nothing better than a wireway that is accessible. 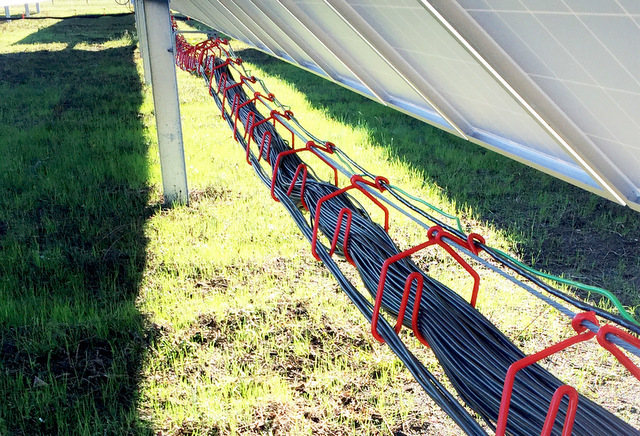 RPCS’s installation, in combination with the Shoals wiring system, Array’s solar trackers, and the CAB Solar hangars, the installation process is smooth and keeps wires away from unknown underground conditions,” says Adam Larner, RPCS’s Vice President of Projects. Through this latest offering, RPCS will be a single point of contact for design, engineering, installation, and procurement. From factory floor to field installation, RPCS makes tracker projects even simpler with the Plug-N-Play Tracker. Together, RPCS, Shoals, Array, and CAB provide customers the next evolution in solar tracker systems, making solar energy a more affordable, lower risk source of clean power for future generations.